As promised (see previous post) here is Nanu's little friend. She's called Nona and is 5 months old. 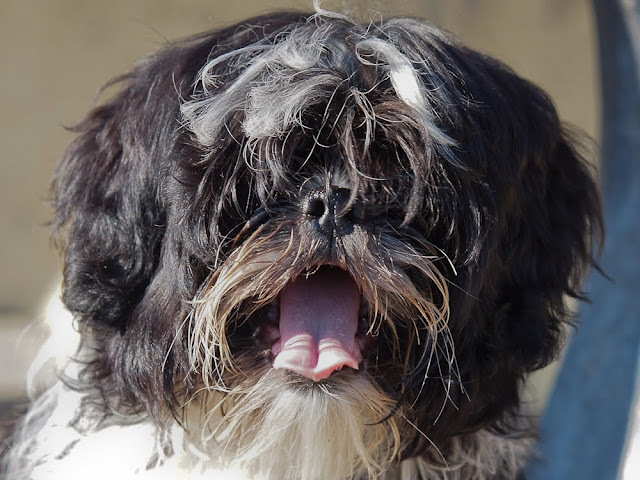 Shih-tzus are adorable but shih-tzu puppies are good enough to eat! Nona Nona are you there behind all that hair.